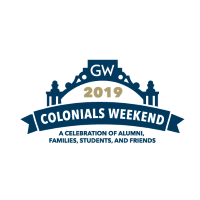 All alumni, families, students and friends should register for a free Colonials Weekend Campus Pass in advance of Colonials Weekend 2018. Note that the registration page will ask your party to pre-register for some of the events below, particularly events with catering or capacity limitations. If an event you are interested in below is not listed on the registration page, your Colonials Weekend Campus Pass badge is all you need for entry. Colonials Weekend Events are designed to showcase the various communities of GW, hosted by the Division of Development and Alumni Relations and the Division of Enrollment and Student Experience. Come celebrate the Class of 1968’s milestone reunion and induction to the Alumni Emeriti Society! Following lunch, hear from GW historians Leo Ribuffo and Eric Arnesen and then take a special bus tour to explore both the old and new sites (and sights) on GW’s Foggy Bottom campus and the surrounding Washington, DC area. College is a time during which students develop and mature into emerging adults and will need a host of tools to be successful. The purpose of this class is to make students and families aware of the numerous opportunities that exist here on the University campus. Additionally, this class seeks to bridge the gap between learning and socializing while providing the tools to do so. Do you want learn introductory chemistry and retain more of it over time? 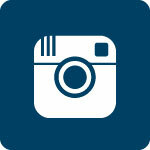 Do you want to have a social learning experience during class? Do you want to learn about your own learning? Then this lecture is for you! Flipped learning is a pedagogy that has been shown across many disciplines to engage students in their own learning and to help them make sense of content and skills learned in a course. The lecture is moved outside of class so that students can learn basic information at their own pace; problem-solving is moved into the classroom where the instructor and peers guide sense-making while applying prior knowledge and learning new knowledge and skills. Professor Shomstein will talk about the limitations of the human perceptual system and the cognitive and neural mechanisms that are in place in the brain to deal with these failures. Professor Shomstein will argue that our perception is a direct by-product of brain’s architecture, and will demonstrate evidence showing that attentional selection is a mechanism that the brain uses to organize the incoming perceptual input. Come hear the latest thoughts on headlines related to sports and how GW is preparing leaders in the industry. As a student you will have an opportunity to interact with alumni to develop networking skills and increase your professional network. As an alumnus you will help provide guidance, support, and mentorship to current students preparing for their future. Most Americans think that today's immigrants are fundamentally different than immigrants from previous generations of American history. But a comparison of the biggest immigrant groups today with those from 100 and 150 years ago shows that in almost every important way, today's immigrants mirror those from the past. Urbanization used to be associated with levels of income per capita. As recently as 1950, most of the largest cities in the world were located in high income countries. Now 9 of the ten largest cities are NUGs (new urban giants) located in low income country surpassing the OUGs (old urban giants) in high income countries. Overall there is no relation between country per capita and city sizes today. This research asks three major questions. First, can the economic models that have been used for OUGs in high income countries be applied to the NUGs? Second, why do the NUGs have such large populations given that their residents have such low income? Third, what will happen to the NUGs if they adopt modern urban technology? Mix and mingle with fellow alumni, and hear an update on the Milken Institute School of Public Health. Mix and mingle with fellow alumni and faculty, and hear an update on the Columbian College. Mix and mingle with fellow alumni, and hear an update on the Elliott School. 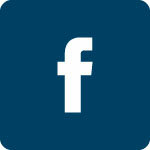 Mix and mingle with fellow alumni, and hear an update on GWSB. Please stop by for a special Shabbat dinner during Colonials Weekend. This will be a come-and-go event, so please come say hello even if you can only stay for a few minutes. Celebrate with us as we look toward the future of Jewish student life on campus with the building of our new home at 2300 H St.
Join the GW School of Nursing for an informal reception in Foggy Bottom featuring small bites and beverages and a chance to reconnect with SON alumni, faculty, and staff. For more information about this event, please contact Justin Pohl at [email protected]. Connect with fellow alumni, students, and families at a reception on University Yard with games, live music, and food and beverages. Join the GW Men's and Women's Basketball teams, GW Spirit, George and more at the Smith Center as we kick off Colonials Weekend and get the 2018-19 basketball season under way. The night will be filled with performances, giveaways, and more. Mix and mingle with fellow families and students, and hear an update on GWSB. Mix and mingle with fellow families and students, and hear an update on the Milken Institute School of Public Health. Mix and mingle with fellow families and students, and hear an update on the Elliott School. Mix and mingle with fellow families and students, and hear an update on the Columbian College. Meet career services staff and current students and learn more about GW's enhanced career and professional development support - from our personalized career coaching model starting with career assessment to specialized resources. Hear practical tips on how your student can get started and make the most of professional opportunities during their time at GW and beyond. Do you have questions about where students can go, how courses abroad apply to GW degrees, and how much it costs? Come hear from the Office for Study Abroad staff to learn more about study abroad opportunities and logistics at GW. Join us for a Conversation with President Thomas LeBlanc, moderated by GW Student Association President Ashley Le, as he welcomes the GW community to Colonials Weekend. The president will provide an update on the five strategic initiatives that will guide the university’s efforts over the next several years as well as answer questions from the GW community. Miss the conversation? You can still watch GW's Facebook Live broadcast. Stop by briefly and meet President and Mrs. LeBlanc in their historic home. Relive the memories of Thurston Hall! Two renown masters of modern architecture designed buildings right here in DC; the Kreeger Museum by Philip Johnson and the Martin Luther King Jr. Memorial Library by Mies van der Rohe. This class will introduce these giants of modernism, discuss their defining architectural concepts, and look at how these ideas are integrated into two local buildings. These buildings can then be visited on future trips to GW. Sample food and drinks provided by GW-owned and managed restaurants at this family-friendly festival. Please note that food tasting tickets are sold out. This class will discuss the origins of the vote, the nature of the campaign, the subsequent disarray in British politics over the form of Brexit, and the possible consequences of Brexit for the British relationship with the United States. Alumni with college-bound children: Hear from an Admissions Director about the opportunities and programs available at GW, along with information about admissions and financial aid, followed by a tour of the Foggy Bottom Campus. The Information Session and Foggy Bottom Campus tour will last one hour and forty-five minutes. This program is at capacity; registration is closed. This class will discuss how the Supreme Court's 2018-2019 Term has the potential to be a blockbuster for two reasons: a new Justice will take his seat on the Court and the Court could easily find itself with a role to play in any political drama that involves Donald Trump. Although the Court has agreed to hear oral argument in cases involving such topics as Native American rights and the rights of criminal defendants, the real fireworks this Term could arise when the Court is asked to decide questions involving the intersection of the Constitution and the presidency that have never been asked or answered. This Introductory Biology class will focus on how animals respond to changes in temperature, with views from time scales both short (sunbathe on a rock! take a dip in a pond!) and long (develop complex blood vessel structures! grow your ears longer!). You will learn about physiological and behavioral thermoregulation, mechanisms of heat exchange, and how evolution in different climates has shaped animal bodies. This session will include brief lecture portions, multimedia components, and many questions for the audience, and participants will be asked to work in small groups to brainstorm ideas, apply information, and analyze scientific data. Alumni, families, students, and siblings are all welcome, and no prior biology experience is needed. These tours will guide students, parents and alumni through the sustainable innovations and developments on the GW Foggy Bottom Campus, highlighting new LEED-certified buildings such as District House and the SEH, as well as new sustainable campus features like the Solar Power Table in Square 80. Join interim Dean Rumana Riffat for the annual Frank Howard Distinguished Lecture Cybersecurity - Today's Attacks and Defenses featuring SEAS alumna Mischel Kwon. Light reception with the dean to follow. Music at the Corcoran presents the GW University Bands in their fall concert, with musical selections inspired by nighttime and dreams. The concert features works by John Corigliano, Robert W. Smith, Eric Whitacre, and others, and an immersive performance of Michael Sweeney's Stardance. For more information about this event, please contact Charles Cevallos at [email protected]. Join us for fun on the Vern! Vern Harvest features fall-themes games, pumpkin painting, crafts, and other activities. This event is family-friendly and fun for all ages. The rain won't stop us! If you don't see us on the Quad, we're in our rain location at the Academic Building, Lower Level, Mount Vernon Campus, 2100 Foxhall Road, NW. Join members of the GWBAA at a reception honoring Peggy Cooper Cafritz, CCAS ‘68, Law ‘71, Hon. PhD ‘11, founder of GW’s Black Student Union. Enjoy hors d'oeuvres and beverages and come decked out in your bow tie or fascinator to add a touch of sparkle to the evening. Come celebrate the fun and memories from your undergraduate GW days. Expect delicious food, fun drinks, music, and, of course, great friends. Dress in your best smart attire. Enjoy the annual Colonials Weekend high-energy concert featuring all of GW’s a cappella groups in their first joint appearance of the year. Donation suggested. Join us for live jazz and great food, hosted by GW’s own radio station, WRGW, and featuring performances by GW students and faculty members. $20/adults; $12/kids 12 and under. Note: seating is limited and subject to availability. Note: Doors open at 11am. Please arrive early to guarantee a seat. The GW Alumni Awards ceremony and dinner recognizes alumni for their professional accomplishments and community service to GW through four different awards: the Distinguished Alumni Achievement Award, Recent Alumni Achievement Award, Alumni Outstanding Service Award, and the Jane Lingo Alumni Outstanding Service Award. Please register by October 11, 2018 ($75 per person). Prof. Woodward is Emeritus, Fine Arts and taught for more than 35 years in the Department of Fine Arts and Art History, GW. This exhibition honors his legacy with GW graduates and their work reflecting the teaching philosophy espoused by Prof. Woodward. For more information about this event, please contact Lenore D. Miller, Curator, at [email protected]. Are you interested in joining a Panhellenic sorority? Come learn more during a brief information session on the benefits of Fraternity & Sorority Life, as well as specific details about Spring 2019 Formal Recruitment! Open to students and parents, this will be your chance to get all of your questions answered from members of the PHA Recruitment Team and our Panhellenic Advisor. There will also be a chance to register for Recruitment if you haven't already done so! We hope to see you there. For more information about this event, please contact the Panhellenic Vice President of Recruitment Ashley Ann Renz at [email protected]. The DEXA scan (a $200 value) is the gold standard in body composition testing and can discriminate among lean mass, fat & bone mineral content. Sign up for a 20 minutes time slot to get a free scan offered by the Exercise & Nutrition Sciences Department in the Milken Institute School of Public Health. Book your 20-minute slot. For more information about this event, please contact Sarah Hofman-Graham at [email protected]. Washington Color School artists such as Gene Davis, Sam Gilliam, Kenneth Noland, Alma Thomas, Paul Reed, Howard Mehring, Jacob Kainen, Leon Berkowitz and others are Washington’s legacy and continually grow in stature in international arenas. What is particular about Washington, D.C., that may have shaped Color Field painting? The geometry, the atmosphere or was it the presence of such collections as that of the Corcoran or the Phillips that combined to incubate the Washington Color School artists? Drawing from the GW Collection along with critical loans, paintings and mixed media will provide examples of the Washington Color School and its legacy. This exhibition marks the first for the Luther W. Brady Art Gallery in their new space in the Corcoran School of the Arts and Design, a fitting venue as many of the artists represented were alumni of the Corcoran or have showed there before. Works by Davis, Tom Downing, James Hilleary, Sheila Isham, Mokha Laget, Morris Louis, Larry Poons, Ann Purcell, Reed, Anne Truitt and Ken Young, among others, will be included. 1:30-2pm - Body composition lecture: Come hear the latest research & an explanation of what body composition can really tell us about our health, fitness & aesthetics. Q & A to follow. 2-2:30pm - VO2 Max (aerobic capacity) demo: Watch an all-out display of aerobic capacity, as we measure gas exchange and the ultimate in endurance fitness. Q & A to follow. 2:30-3pm - Anatomy & Physiology Lab demo: Come see our new A&P software in action. Interact with the 3D models. Q & A to follow. 3-3:30pm - Functional Movement Screening (FMS) demo: One of the leading screens in human movement, watch a demo & learn why moving well is the foundation for physical health & exercise performance. Q & A to follow. The George Washington University School of Business (GWSB) is proud to launch its inaugural Finance and Real Estate Careers Summit on Friday, October 26, 2018. The purpose of the Summit is to accelerate and enhance the education and outcomes of students interested in careers in the finance or real estate industries or functions within an organization. Join us for the keynote address by Daniel D'Aniello, co-founder of the Carlyle Group. For more information about this event, please contact Lawan McFerren at [email protected]. Faculty and students will be on hand to talk about and demonstrate their cutting edge work in psychology. Designed for students, their families, and alumni. For more information about this event, please contact Professor Peg Barratt at [email protected]. Join the staff of the Global Women’s Institute at our Open House. This will be an opportunity to learn more about how our current research and outreach initiatives work to make a difference in the lives of women and girls. Light refreshments will be provided. For more information about this event, please contact Skylar Wynn at [email protected]. Join alumni of the University Honors Program for a casual reception at the UHP Townhouse. For more information about this event, please contact Eydie Costantino at [email protected]. All GW Athletic Advisory Council mentors and mentees are invited to a reception during Colonials Weekend. Stop by the Champions Club for hors d'oeuvres and soft drinks and interact with others in the mentoring program and athletic leadership. There is no cost for this event but registration is requested. For more information about this event, please contact Jessica Gray at [email protected]. Watch GW women's volleyball alumnae compete in an open scrimmage with members of the GW Volleyball program. The event is open to the public. For more information about this event, please contact Anna Sody at [email protected]. As the only school of its kind in the Nation’s Capital, Milken Institute SPH occupies a unique space at the confluence of health research, practice and policy. Please join us for an engaging conversation with Dr. Dale Smith on the paradigm shift occurring in healthcare. RSVP for this event. For more information about this event, please contact Sarah Hofman-Graham at [email protected]. Before a full day of programs, take 30 minutes to align your mind and spirit. The first 15 attendees will receive a special Milken Institute School of Public Health yoga mat. All yoga experience levels welcome. RSVP for this event. For more information about this event, please contact Sarah Hofman-Graham at [email protected]. Join the Daughters of the American Revolution for this presentation on the basics of getting started in exploring your family genealogy and understanding how DNA can and cannot assist in your genealogical pursuits. For more information about this event, please contact [email protected]. Please join the brethren of The Colonial Lodge #1821 for a tour of the House of the Temple and a public-facing ritual demonstration over brunch. The principal purpose of the Lodge is to bring together members of the George Washington University community who are already Freemasons or are interested in becoming one. For more information about this event, please contact Quardricos Driskell at [email protected]. Enjoy Cider and Donuts with the Senior Class Gift Campaign in Kogan Plaza as we celebrate our final Colonials Weekend! This event is open to seniors and their parents. Alpha Phi's 12th Annual Red Dress Gala, a brunch fundraiser for the Alpha Phi Foundation, which funds treatment and research for women's heart health. For more information about this event, please contact Jordann Smith-Kingston, Red Dress Gala Chair, at [email protected]. Please join GW Physics for an open house and barbeque lunch in the basement level of Corcoran Hall. Connect with Physics faculty and students, view 3-D printer demonstrations, watch subatomic particles in our cloud chamber, explore the universe of virtual reality, and discover student research and current activities. All are welcome. We look forward to seeing you there! For more information about this event, please contact Leah Kochenderfer at [email protected]. The GW Women's Basketball program cordially invites all former Women's Basketball student-athletes to attend a team practice and meet the current coaching staff and team. Practice will last approximately two hours, with a reception and meet and greet to follow. For more information about this event, please contact Kevin DeMille at [email protected]. GWBuzz is a rooftop honey bee urban apiary, research lab, and partner of Farmers Restaurant Group that specializes in honeybee health and behavior. Join us to learn about urban beekeeping, research, and the work we do in and for our GW and DC community. For more information about this event, please contact Kayla Schwartz at [email protected]. Visitors can tour the GW Confucius Institute's townhouse, meet with our staff and learn about upcoming programming. For more information about this event, please contact Molly Mroch at [email protected]. Students, parents, staff, and faculty are invited to join us in a celebration of research, music, and art as we award the 2018 Eckles Prize for Freshman Research Excellence and open the Women’s Leadership Program’s annual art show. Students will present their papers, artists will be on hand to discuss their work, and musical guests will perform. A reception with light refreshments will follow the awards and performances. Museum Tour: "Eye of the Bird" and "A Nomad's Art"
This guided tour of the museum's current exhibitions will take you from nineteenth-century D.C. to the mountains of southern Turkey. In "A Nomad's Art: Kilims of Anatolia," discover nomadic life through exquisite textiles woven by women to adorn tents and camel caravans. See historical Washington brought to life in "Eye of the Bird: Visions and Views of D.C's Past" through monumental bird's eye view paintings by local artist Peter Waddell. For more information about this event, please contact Lori Kartchner at [email protected]. Connect with fellow GW Student-Athlete Alumni and members of the GW Spirit Program for food and drinks in the Smith Center Colonials Club. For more information about this event, please contact David Earl at [email protected]. Join members of GW's military community at an open house at the Military Community Center and meet GW students, staff, and faculty members who work with military and veteran students and who are military affiliated themselves. For more information about this event, please contact Andy Sonn at [email protected]. The GW Office of Innovation and Entrepreneurship will host a panel discussion of successful Alumni Startup Founders to talk about their journey from idea to marketplace success. Separate registration required. For more information about this event, contact Jasmine Bautista at [email protected]. Join us for our 5pm Vigil Mass at the Newman Center, followed by student-led tours of our of "Renewed" Newman Center, and a wine & cheese reception. All are welcome; we hope you can join us! For more information about this event, please contact Julie Cilano at [email protected]. Connect with first generation to college students, alumni, parents, staff and faculty over breakfast! For more information about this event, please contact Sara Prifti at [email protected]. Sigma Delta Tau is hosting a casual Parents & Alumnae Brunch for all parents and families of Sigma Delta Tau members and any Sigma Delta Tau alumnae. We will provide a light catered breakfast in our chapter house. We welcome you to stop by, see our house, catch up with alumnae and grab a bite to eat! For more information about this event, please contact Eve Presler at [email protected]. Come cheer on the GW Men's Basketball Team as they take on Catholic in their first home matchup of the season! GW Students get in free with a valid GWorld, and alumni and parents can unlock a discounted ticket using the code ColonialsWeekend on getgwtix.com. For more information about this event, please email [email protected].